Ran across this on Reddit. I find this very exciting since STO offers a ton of canon ships as well as non-canon ones. Hopefully they aren't super expensive. 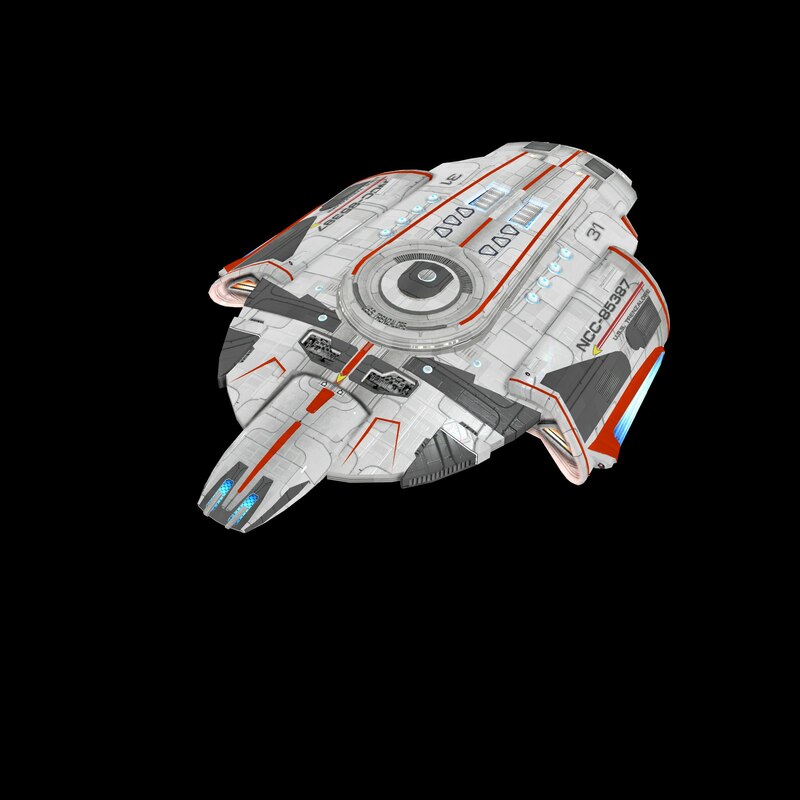 Going to add this isn't just for STO designed ships, but for the canon ships that are in the game as well. My understanding is that you will be able to customize them like you can in game, with custom names and registries. This is some of the most exciting Star Trek merchandise news that I have EVER heard. I doubt anyone remembers but I went on a rant on this forum a couple of years ago when we were all bitching that yet another comicon or something had gone by and no new ship announcement. I talked about how GE was going to make all their airplane parts with 3d printing by 2020 and eventually someone would make us starships the same way. And this, as awesome as it is, is only the beginning. What collector wouldn't be excited about this? STO has so many ships that no one has made at this size, and we'll be able to customize them! I guess it's time for me to finally start playing STO. I should have done it as soon as it went F2P. Will Decker, I definitely remember that, and I know a few of us brought up 3D printing as part of the whole "create a starship" idea. The only minor nitpick I have about these is that they're apparently going to be in a 12" scale rather than the 16–18" scale used by DST. 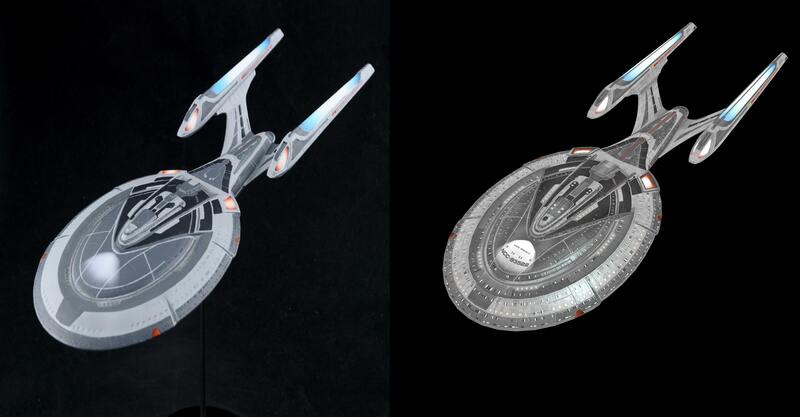 While I realize they aren't going to be electronic, it would be nice to have custom STO–based designs in the same scale as the ships produced by DST, rather than one that's just slightly smaller. I'm still looking forward to these though. After their last partner in this went under, it looks like theyve found a new company to partner up with to make these ships. From what Ive read, they waited until it was 100% certain to happen before announcing it again. Its live if you play the game, at some point soon 20 of the most popular ships will be available to print by anyone. Shame the Discovery ships arent printable, curious how the Kelvin ships would look. I don't quite understand this yet. So, one can get the 3D files for the printer, but would need their own 3D printer in order to actually produce the model? EDIT: Okay, looking at the hefty pricing, I guess they print the model. And wow, even the unpainted "base-version" is about 100$ more than I expected. Theyre definitely pricey, but I dont think its overpriced for getting a customized hand made ship. 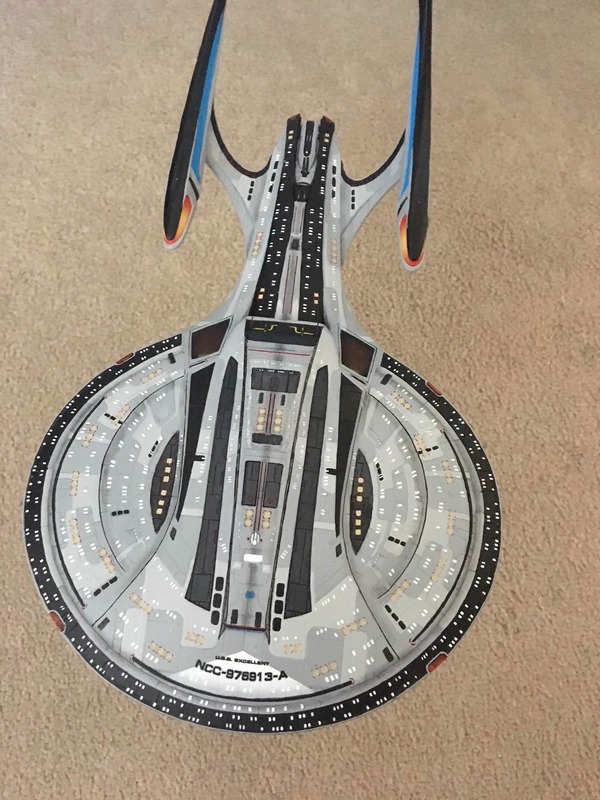 Id only ever buy an STO specific ship, itd be stupid to buy something you could get from Eaglemoss or DST for significantly cheaper. 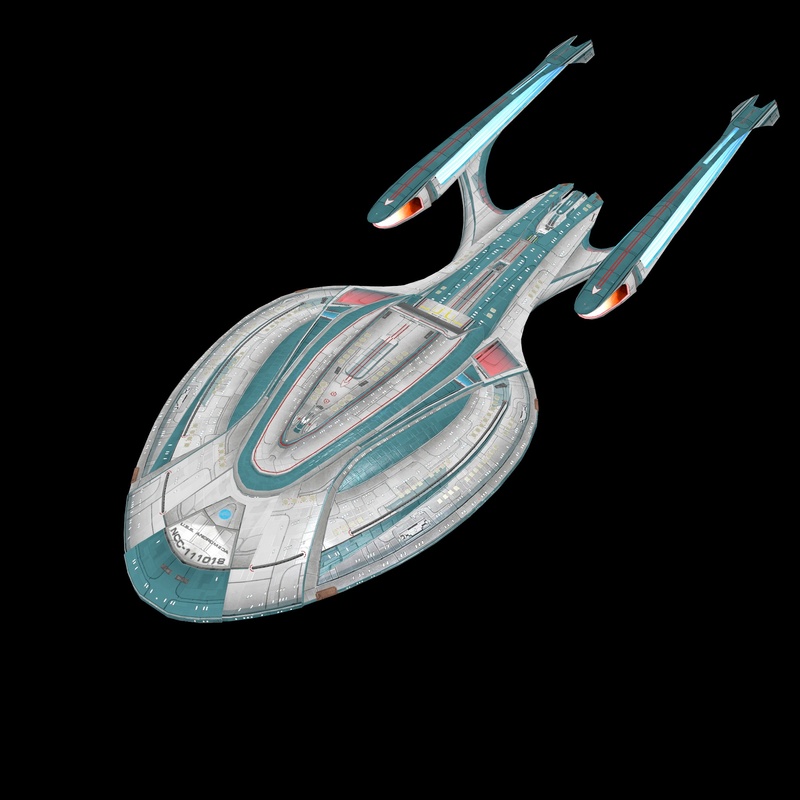 The only ship Im really interested in is the Enterprise F.
Decided to pull the trigger and ordered my ship, the USS Andromeda. Since the promotional pricing is only good for 2 weeks, I don't want to potentially pay more later. It won't be started until May 1st, and I should get it 3-6 weeks after that. Hoping it turns out well. Cant wait to see what these look like finished, the detail on the print/sculpt are amazing. Update on the Sovereign I posted. I guess the nacelles werent right, and it was supposed to be a standard Sovereign class. Im blown away by that paint job, the nacelles and impulse Engines actually look lit. Side by side comparison of the game capture they sent in for the order, and the actual printed model. It looks fantastic, can't wait for mine. She's being "replicated" now, only 3-6 weeks to go! So I've been asking some questions since my ship went into production about the actual process involved with making one of these. The first thing they do is clean up the actual 3d model so it looks less like an in-game model, and more like the actual ship should look. Smoothing out the lines so they're rounder and what not. 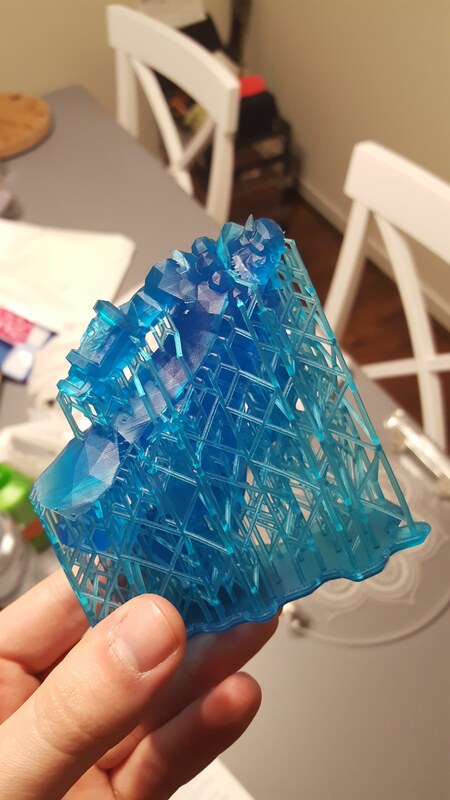 They then actually 3d print the ship, in separate pieces. They then prime the model, and it goes on to hand painting. I asked for some early production shots because I really want to see what it all looks like fresh off the printer, hopefully I'll get some. These look awesome. I especially like the Kelvin Constitution Class. The paintjobs make them very stylised, but if you can get past that, they really are packed with detail. I'm love to have some of my Elite ships made like this. Any pictures of a regular Defiant class yet? I don't follow STO but I know they brought a guy on board a while ago who made some extremely accurate models. They're meant to look like their in-game counterparts, and I think the paint jobs are doing a damn good job of reflecting that. The purple Hestia/Prometheus is definitely not something you'd see anywhere in Star Trek. The "lighting" is also something I haven't seen done before, but I actually like it quite a bit. Its most obvious on the Kelvin Connie, with all the strobes "lit up" with paint apps. But it isn't an actual Defiant Class.